With the MY MG property portal, we are able to help you keep track of your most valuable asset. Whether you are buying or selling, take control of managing all aspects of your property. You can Log In or Register to MY MG if you already have a profile with one of our offices. If not, arrange a viewing on any one of our properties or request a free market appraisal with us and you will be on your way to keeping track of your progress with MY MG. Accessible 24 hours a day, 7 days a week, MY MG provides you with the complete property journey. The portal is personalised to you, so you’ll be able to view everything from archived information to upcoming events. Stay up-to-date with important milestones, marketing, and a calendar of events and retain visibility of every step in your journey. Keep track of your purchase progress with your personalised MY MG portal. With a list of outstanding and competed actions, a percentage tracker, and chain progress – including onwards purchase and sales beneath – you have everything you need for a smooth buying journey at your fingertips. With MY MG, you have all you need for your selling journey which is easily accessible in one place. Your personalised account contains up-to-date information about the progress of your sale, offers received, booked viewings, marketing, and more. 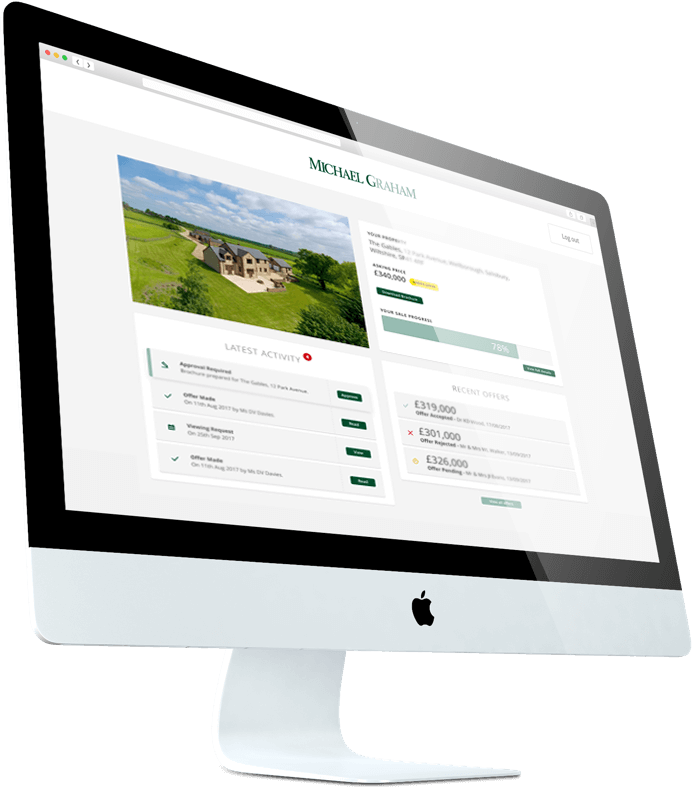 Access all your requirements, shortlisted properties, and arranged viewings with your personalised MY MG portal. With date, times, and addresses, MY MG has everything you need to organise and manage your property search in one, simple place.